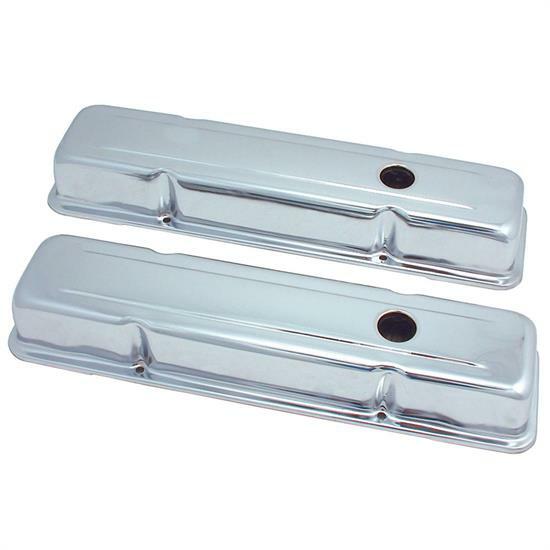 Available in various sizes, heights, and finishes, Spectre offers a wide variety of high performance valve covers designed to easily replace your stock covers. Designed for 1958-1986 Chevrolet Small Block 265-400 engines, this valve cover features chrome-plated steel construction and a smooth design. Sold in pairs, this stock profile cover is baffled to provide optimum function. With show quality construction and a sealing edge designed for an ideal fit, our valve covers are engineered to look great for applications ranging from custom builds to replacing stock equipment.